Africa is one of the most dynamic continents. It will play a key role in the coming decades in relation to the growth of cities, and environmental conditions will be of primary importance. The structural lack of water and sanitation infrastructure affects the development of Africa's growing urban environments. This book questions the relation between the wide-ranging fields of water and the urban discipline in the Sub-Saharan African context. 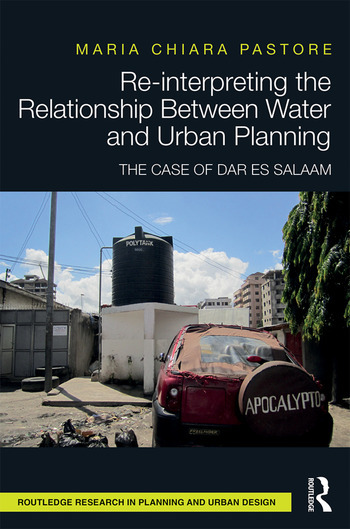 In particular, it focuses on Dar es Salaam (Tanzania), a city where rapid urbanisation and high annual growth have led to increasing water demand and strained the water and sanitation systems. It examines the spaces water produces, the actors promoting various choices and solutions, the impact of different applied technologies, and the diverse sanitary conditions, focusing on their significance in the shape of the built environment and the urban planning practices and theory. As water occupies and creates spaces, this work tries to establish a relation among the spaces and the structure of the city itself, using infrastructure in the shape of networks that cross the city and on-site systems such as boreholes and latrines, to be considered a hybrid and potentially resilient system. Maria Chiara Pastore is a post-doctoral fellow and course instructor at Politecnico di Milano, Italy. Her research and professional interests regard the relation between the development of water and sanitation systems and urban environments, urban planning in Africa and adaptive planning in relation to rapidly growing cities. She is a consultant to the World Bank (DRR) in Malawi.